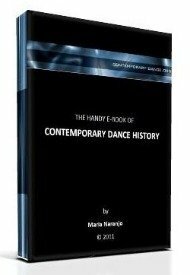 Maria please, what is the definition for dance criticism, a dance critic and a critique. What is the purpose of a critique? Comments for What is dance criticism? Dance criticism is the activity of writing analytic or philosophical thoughts about dance. The most common topic is a specific dance show, but it can also treat related subjects like the style of a choreographer, the features of a dance genre or other dance related issues. The 'dance critic' is the person who thinks and writes the text and the 'critique' is the text itself, which is usually published in newspapers, reviews, specialized books or programs. The purpose of writing a critique is to promote 'critical thinking' about the dancing event, both in the audience and in the people involved in creating the show. 'Critical thinking' is a way to react to experiences. In the case of dance events, critical thinking makes that we don't attend the show passively, but we also discriminate if its content is good, why or what for is it good. That discrimination may be based on artistic parameters only but it can also treat any issue contained in the show, like social or cultural concerns. Yet, dance criticism is a difficult activity because it demands high philosophical skills and it engages the critic socially. It is also a young field of knowledge and not many people understand its benefits. Therefore, it is something that is not being practiced widely (still). With the growth of dance as a major form of art, dance criticism will very possibly grow too.